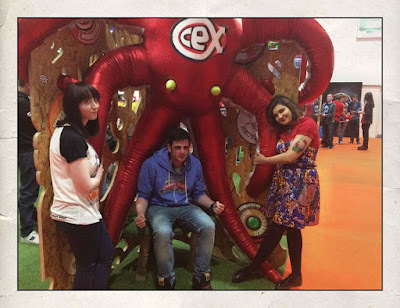 The ordeals of a Creative mind: London MCM Expo May 2015 | Photo Opportunities! 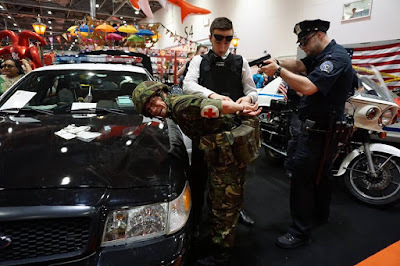 You sir are under arrest ! SO on my journey battling against the many attendees to all the free swag at this May's MCM London Expo - photo opportunities were rife - you just had to know where you were going ! First stop at the police car stand where you had authentic police cars and bikes protected by cosplay clad officers doing photo shoots. 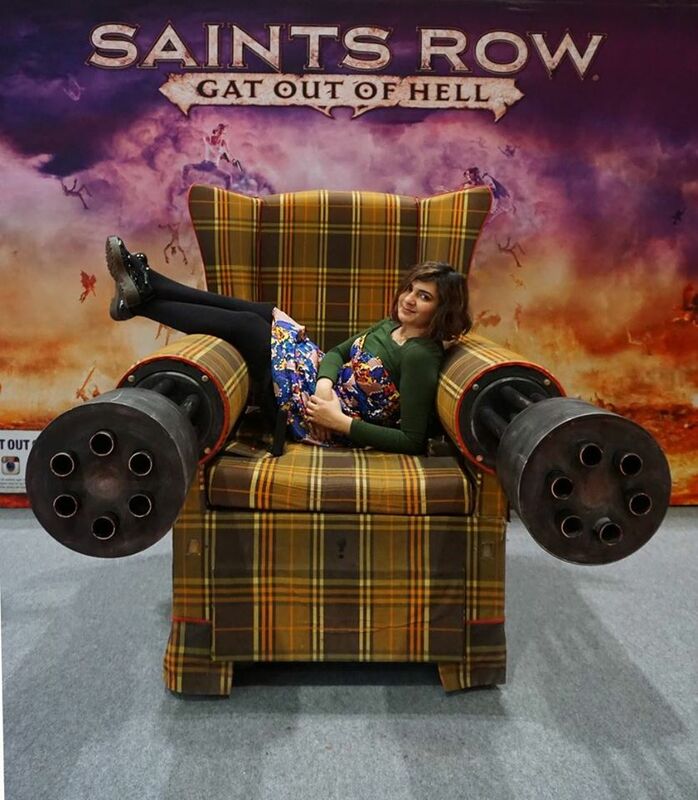 Sponsored or not - it looked pretty cool. Everybody loves the CEX tentacle toilet seat ! 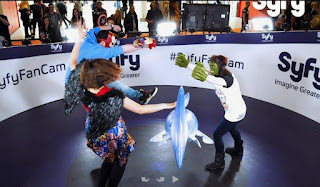 Feel free to take a photo and the photos with the top three like scores won game vouchers and and on top first prize winner(s) got a go pro camera. Not too shabby at all. 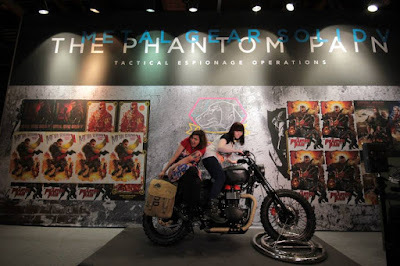 Konami UK decided to set up a great bit of advertising for Metal Gear Solid bike The Phantom Pain, where initially hidden in a box, Later unveiled the bike in all it's glory for attendees to take photos on and get them later emailed or via facebook. MC Karim made sure to accost every cosplayer in sight to get a shot by pro photographer Ace. 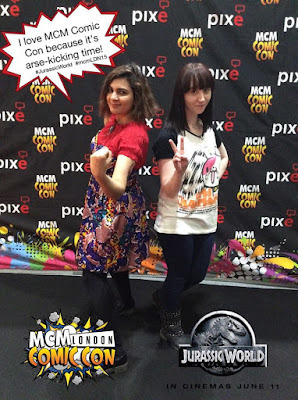 Pixe pop up background was back in promotion of Jurassic World, where you think of a good slogan to put in your speech bubble and again for the photo with the most facebook likes you receive a prize and social media stardom. 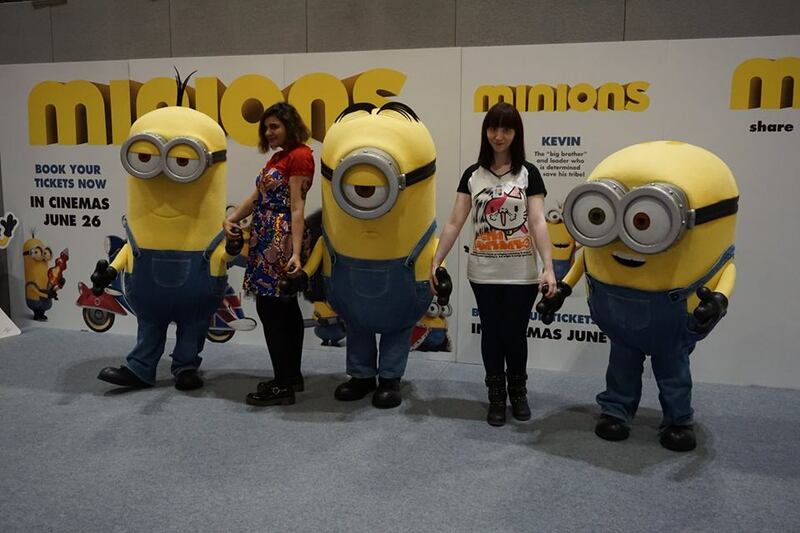 It' seemed everywhere me and my team wondered we were bumping into Minions ! We managed to follow them to their own barriered area for photos with the crew. Kids to adults queued excitedly to meet these yellow superstars. 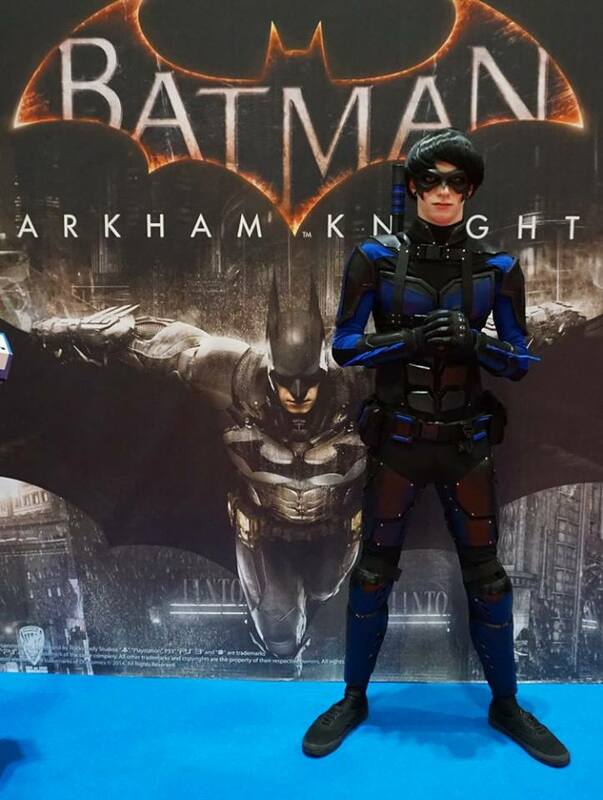 Even though you couldn't take photos of the new game, there were ample areas for photos including by the Batmobile but sadly my photo hasn't come through yet so please bask at the glory of Nightwing! I managed to try the Syfy Fan Cam at the recent LSCC in cosplay but decided I wanted to go casual and have some fun so we all suited up and some how a shark got involved, even though the queuing was by far the longest it was totally worth the wait. Last and not least my absolutely favourite photos were in the Hello Kitty Photobooth located in Hello Kitty Land where you could charge your phones, get your nails done, get free transfer tattoos and hair chalk while chilling in the peaceful ambiance. Hope you captured the moment on a few or all of the above and had a thrilling time at MCM Expo, this has to be the best to date for me.